Francene holds an MA in Depth Psychology, and has trained with Dr. C.P. Estés in Jungian Psychology at her Archetypal & Cross-Cultural Institute. Francene teaches soul-focused groups for maidens and women, based on the inspirational text, Women Who Run with the Wolves. She conducts Rite of Passage ceremonies for maidens, BlessingWays for expectant mamas, weddings, & memorials. Jenny is a California Board Licensed Acupuncturist and Nationally Certified Diplomat in Oriental Medicine. She completed a Master’s Degree in Traditional Chinese Medicine (TCM) at Five Branches Institute with over 3200 hours of comprehensive academic and clinical training in Acupuncture, Herbology, Massage, Western Biomedicine, and Dietetics. Jenny is especially passionate about caring for women in preparation for and during their perinatal year. Narrye Caldwell, L.Ac., practices Traditional Chinese Medicine, pole star astrology, classical feng shui, and shamanic healing in Santa Cruz, Ca. She is on the faculty at Five Branches University, and teaches Qigong and Tai Chi Chuan through the Academy of Martial Arts, one of the oldest traditional kung fu schools in the country. She is also guest faculty with the Foundation for Shamanic Studies, an international teaching and research organization dedicated to the preservation of ancient shamanic knowledge and wisdom. Dr. Corie Ascani completed a Master’s and Doctorate degree in Clinical Psychology in 2010 and has been in private practice since 2011. Corie has experience providing therapeutic and evaluation services to children, adolescents, adults, couples, and families from a variety of multicultural and multiethnic backgrounds. Corie has worked with law enforcement, first responders, educators, and hearing and seeing impaired- and this only highlights a handful. She takes a holistic, inclusive, and collaborative approach to treating psychiatric and learning challenges, while incorporating parent, couples, family, and consultation with co-treating providers as needed. Corie completes the following types of psychological evaluations: psychoeducational, pre-employment screenings, and diagnostic and treatment planning. Hi! 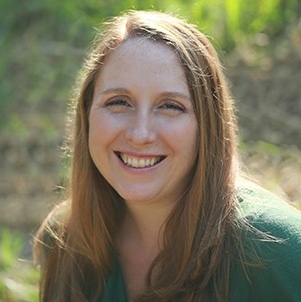 My name is Elizabeth Chamberlain and I am a Certified Hypnotherapist in the Spiritual Counseling Practice of Depth Hypnosis and a Certified Reiki practitioner in Santa Cruz. Depth hypnosis is a client-centered modality that guides you inward to discover your own sources of power, strength, and healing. In our first session together, you will be connected with protective figures that will support you throughout your depth hypnosis experiences. I have been practicing this modality since 2016 and am constantly awed and honored by the work I get to do with people using hypnotherapy and energy work as a healing modality. Sessions are offered on a sliding scale and can range from 30–90 minutes long. I am looking forward to meeting you! Thank you! Dina specializes in intuitive energy work using light touch, to help you relax, rebalance, revitalize your energies, and support the self-healing of your mind, body, and spirit. She uses her intuition and knowledge of the body’s various energy systems and pathways to detect imbalances and help restore harmony. As a hypnotherapist, mind-body therapist, and life coach, Dina can help you release negative emotions and limiting beliefs, tap into your wisdom and higher self, and uncover your passions, your dreams, so you may discover ideas and solutions that align with your true nature, and make healthy choices that are in harmony with what feels right in your heart. Dina currently studies Traditional Chinese Medicine (acupuncture and herbs), which she will add to her repertoire of therapies in the future. She mentors with highly-awakened spiritual masters to continue her own lifelong passion of personal and spiritual growth, and to deepen and expand her abilities in creating a loving, compassionate healing space for her clients. She has a BA from San Jose State University and a Masters Certification in Intuition Medicine® from the Academy of Intuition Medicine® where she tutors current students. She is a Clinical Hypnotherapist certified by the Hypnotherapy Training Institute and American Council of Hypnotist Examiners (certification #116-038). She received Life Coach education, training, and certification from the Martha Beck Institute. She is also a Reiki Master. Dorothy is a community herbalist and plant healer offering herbal consultations and classes to empower us to connect with our bodies, health, and the land we live within. She studied traditional Western clinical herbalism at the Motherland Botanical Sanctuary in Willits, the Philo School of Herbal Energetics, and at the California School of Herbal Studies in Forestville, CA. She teaches workshops and classes for adults and children in natural textile dyeing and herbal medicine making from a land-tending perspective, using plants that are labeled as invasive and native species that rely on fire and active engagement to thrive. Her philosophy is based on building relationship with landscapes and community, and understanding history, context and the layers of complexity that make up place. She offers private hourly constitutional consultations, public workshops, herbal products and resources for self care.